Despite New York City billionaire Michael Bloomberg’s attempts to kill Constitutional Carry in Wisconsin, we now have a vote scheduled on the bill next week thanks to your calls and emails! Make no mistake, this is exclusively due to your grassroots pressure! But now is not the time to let up. In fact, I am counting on your immediate action before the vote which is likely to take place on Tuesday. We’ll tell you how you can help in just a moment. First, Michael Bloomberg and his anti-gun front groups have been begging and pleading for the Senate Committee on Judiciary and Public Safety to kill this bill, and not let it see the light of day. Every single anti-gun political tactic has been pulled out of their deep pockets to stop a committee vote on Constitutional Carry from ever taking place. We are happy to report that their efforts to stop this bill from getting a vote appear to have failed. But that doesn’t mean they are going to sit idly by and watch Constitutional Carry breeze through the committee vote on Tuesday. We fully expect Michael Bloomberg to drop even more money into Wisconsin to stop this bill! We also expect that the anti-2nd Amendment legislators on the committee will do everything they can to ram gun control amendments into the bill in an effort to gut it completely! It’s going to be up to the pro-gun Senators on the committee to make sure that doesn’t happen. You see, there are only five members on this committee. Two of them are notorious anti-gun Democrats who also happen to be sponsoring the majority of the gun control bills introduced this session. That leaves three Republican Senators who must stand up to Michael Bloomberg and his anti-gun cronies. 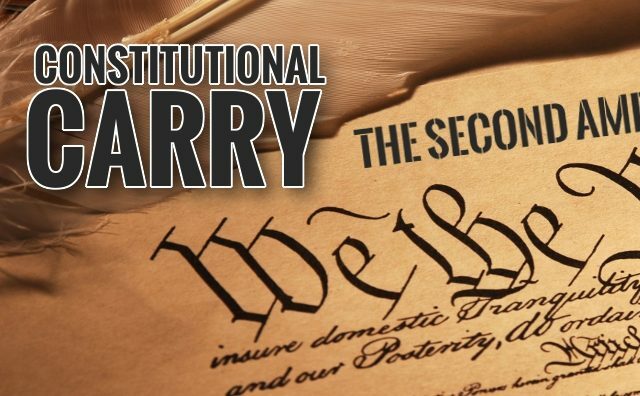 They must stand against any amendments which undermine Constitutional Carry. But, they need to hear from you right away! They need to know that Constitutional Carry is a top priority for you as a voter. Then, help us fight back against Michael Bloomberg and his front groups, Moms Demand Action and Wisconsin Anti-Violence Effort, by donating to the Wisconsin Firearms Coalition today. Whether you can give $100, $50, or even $25 to help us mobilize gun owners to battle Bloomberg and his billions, any donation is appreciated. But, the most important thing you can do today is contact the committee members listed above and make your voice heard. Once you have contacted the committee, make sure every single one of your pro-gun friends does the same thing. Then, show up on Tuesday for the vote! It isn’t often that gun owners get an opportunity like this to help move a monumental gun bill forward. So, don’t delay your action on this crucial issue. P.S. Michael Bloomberg’s desperate attempts to stop Constitutional Carry from getting a vote in the Senate Committee on Judiciary and Public Safety appears to have failed. A vote is scheduled for Tuesday, September 19th at 10:00 a.m. in Room 411 South at the Capitol! We need you to act right away by contacting each of the committee members and telling them to vote for the bill with no weakening amendments. You can find their contact info in the body of the email above. Then, please consider a donation of $100, $50, or even just $25 today to help us mobilize against Bloomberg, who is sure to drop thousands into Wisconsin in the coming days and weeks to stop this bill.